400 Solar Powered Audio Bibles please! In June we got a message from Michael Webb a long-standing missionary with SIL requesting 400 Audio Bible Players. Lina, our audio Bible technician, was busy every spare minute prepping the audio players. We found out that the Urii- Indai language group in Fayang had their Bible translated and put into audio from and these were going to be distributed on the big opening day July 7th 2018! 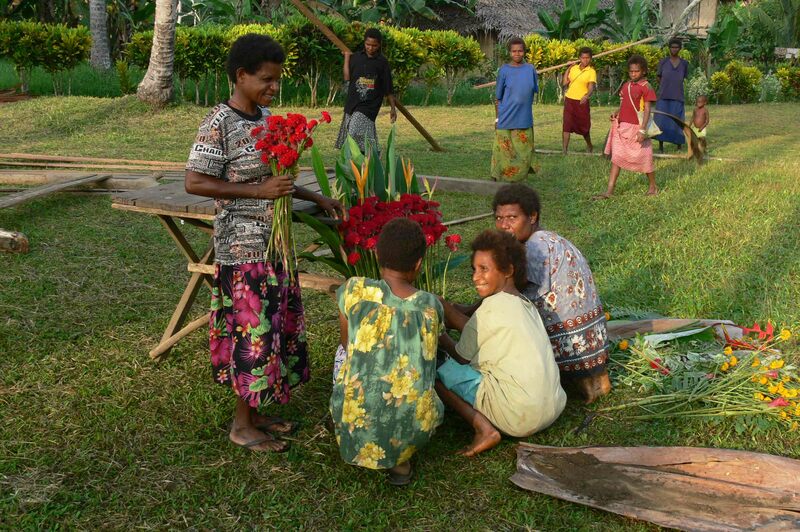 On March 30 1985, the New Testament in the Urii-Indani language was dedicated in Fayang village in the Wawin area of Morobe Province (inland from 40 Mile on the Highlands Highway, towards the Sarawaged Ranges). It was a day of great celebration for the Urii-Indani people and the translation team of Mambap Mandak and Tom and Gwen Webb of SIL/WBT. 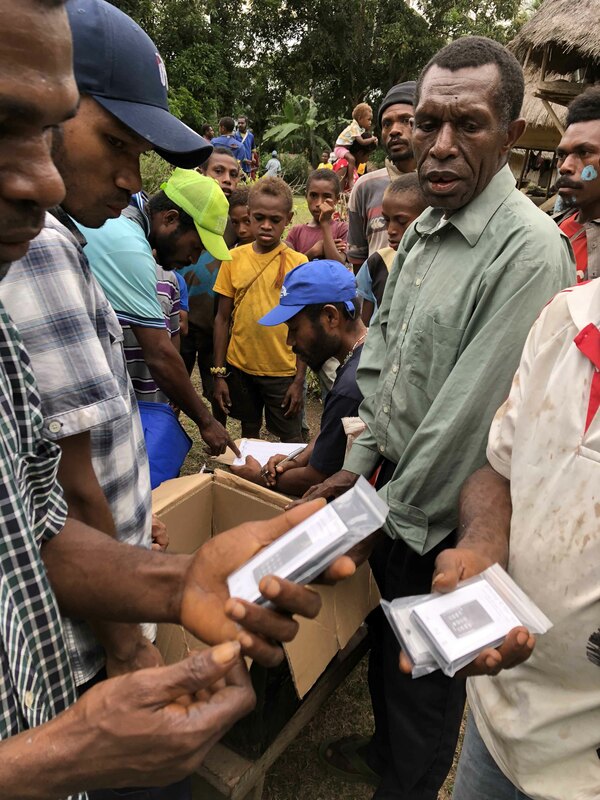 On 7 July 2018, 33 years later, the audio version—loaded onto Megavoice mp3 players—of that same New Testament was dedicated and launched in Siara village, several kilometres up river from Fayang. A crowd of some 300 people from many of the Urii-Indani villages was joined by a small delegation from Australia–the Webbs’ sons Rory and Michael, who was accompanied by his wife Ellen and a church friend, Ron Adams. 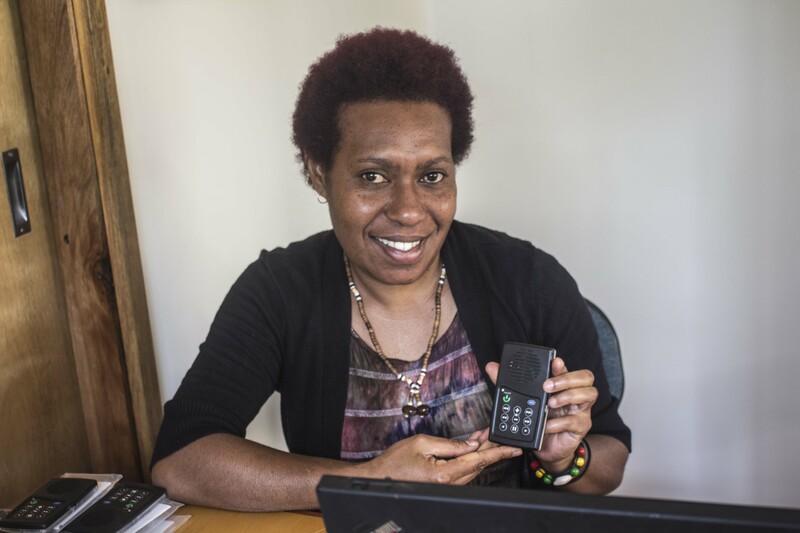 Rory’s wife Ruth successfully led an early fundraising initiative towards subsidising the Megavoice players for the Urii-Indani people. The day’s events began with traditional dancing, gospel songs, and prayers. A sermon and speeches concentrated on the value of the sacred Scriptures in one’s own language, and this led to considerable excitement, anticipation and interest in the solar-powered audio Bibles. 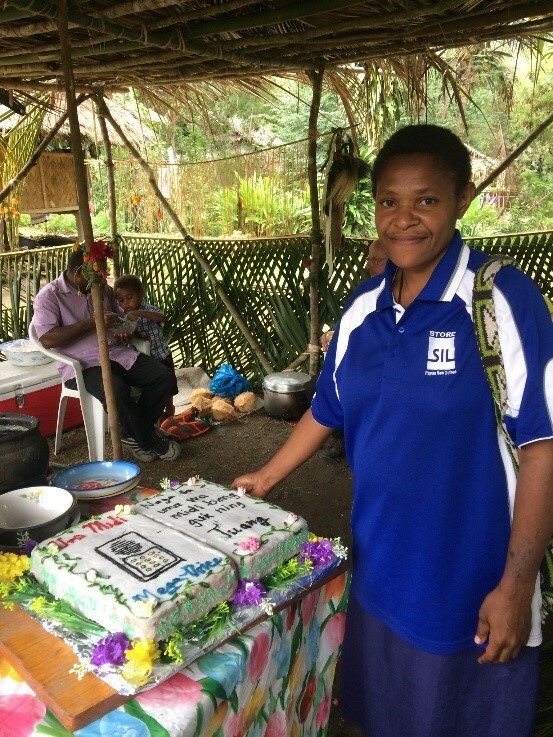 To everyone’s delight, Thea, a teacher at Siara Primary School, baked and decorated a special “Megavoice cake” to mark the event. All but 39 of the 400 Megavoice players containing the Urii-Indani New Testament sold within a week of the launch. We have since had a request for 200 more! We are so thankful to CRMF for their work and getting the players ready and delivered, and we praise God that His message of salvation through Jesus Christ his Son is currently resounding throughout many Urii-Indani villages. May many respond and accept God’s free gift of grace!